Saving your seed is the best way to propagate your garden – and the cheapest! But it is also a way of protecting our heritage plants. Many varieties such as Bossingham Long Pod bean, Bath Cos lettuce and Shetland kale are linked to a particular region or village. It is becoming increasingly clear that this plant heritage - and the organic growing principles - are under threat, principally but not exclusively, from regulation and big business. As well as campaigning and lobbying internationally, Garden Organic also houses the Heritage Seed Library, which aims to conserve these heirloom varieties. You can find out more about their work, and even become a seed guardian yourself, here. 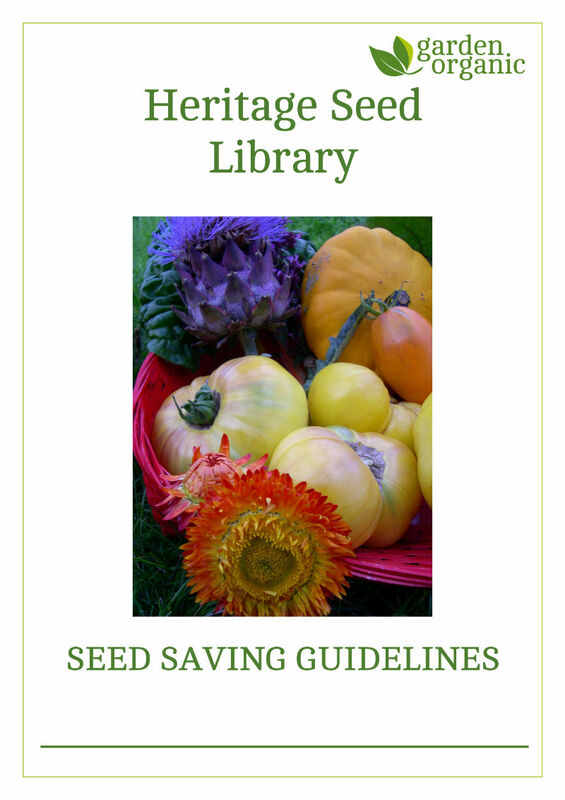 The following are comprehensive seed saving guidelines, produced by the Heritage Seed Library. Garden Organic are offering 2 courses on seed saving. Introduction to seed saving (6 September) and Next steps in seed saving (11 October). See here for details.